Elastomeric roof coatings refer to liquid-applied, fully adhered, and seamless membranes that we apply to your commercial roof. These membranes are not paint because elastomeric coatings can range from 15 to 30 mils thick. 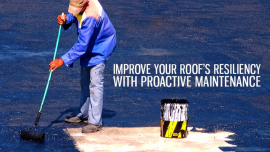 You can think of these coatings as an extra layer on top of your roof. As an expert in commercial roofing in Virginia Beach, we recommend elastomeric coatings because they can help solve roof leaks. They can also enhance your building’s energy efficiency and improve your roofing system’s longevity. 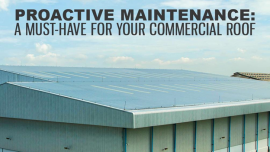 Elastomeric coatings can help improve your commercial roof’s service life because they reflect harmful UV rays and heat. Their heat-reflective properties protect the commercial roof underneath from degradation. As a specialist in roof repair and roof replacement in Suffolk, we also use flexible coatings. They expand and contract along with the roof as the temperature changes. These coatings also improve your building’s energy efficiency because they keep your roof cool. They reduce the strain on your building’s utility system, leading to reduced energy consumption. This can save you money on your energy bills. In addition, this keeps your building’s interior temperature stable and more comfortable. 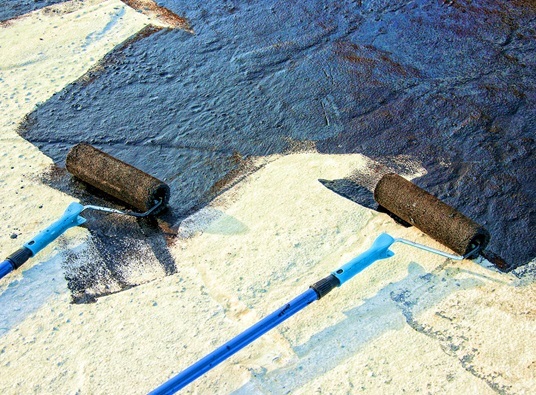 Finally, when applied by a professional in roof repair in Norfolk, VA, we can also use these coatings to help fix roof leaks. Elastomeric coatings are an excellent way to improve your building’s energy efficiency and durability. They can maximize your roof’s water resistance and protect against UV degradation. 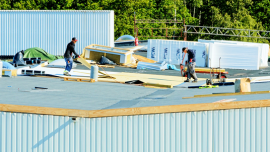 American Enviromental Service Company has two decades of experience in commercial roof repair, renovation, and roof replacement. We offer a wide range of customizable solutions. Call us at 1-(804) 893-2900 to learn more about our elastomeric coatings.